In America, while we find many places to give credit for our nation’s success, too often we forget our nation’s humble beginnings and where we have come from. Perhaps the best perspective from which to view our nation’s success, is to remember the path that the first immigrants who came to America chose the path that has taken us to where we are today. They came with a faith which held them together, and a work ethic which followed that faith (based on the Bible)! With this they built the foundation upon which our great nation stands today! From the founding of Jamestown in the seventeenth century we see this play out. 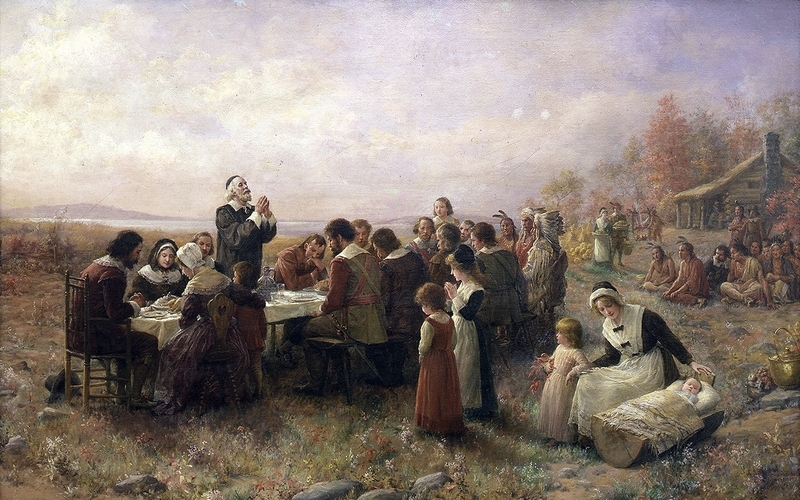 Tomorrow as we celebrate Thanksgiving, we celebrate not a day of being thankful for “random” good fortune we enjoy or the gathering of a few religious pilgrims who followed their faith to America, but a rich heritage which God has blessed us with and success due to the path our founders took! Wishing a Happy Thanksgiving to you and yours! 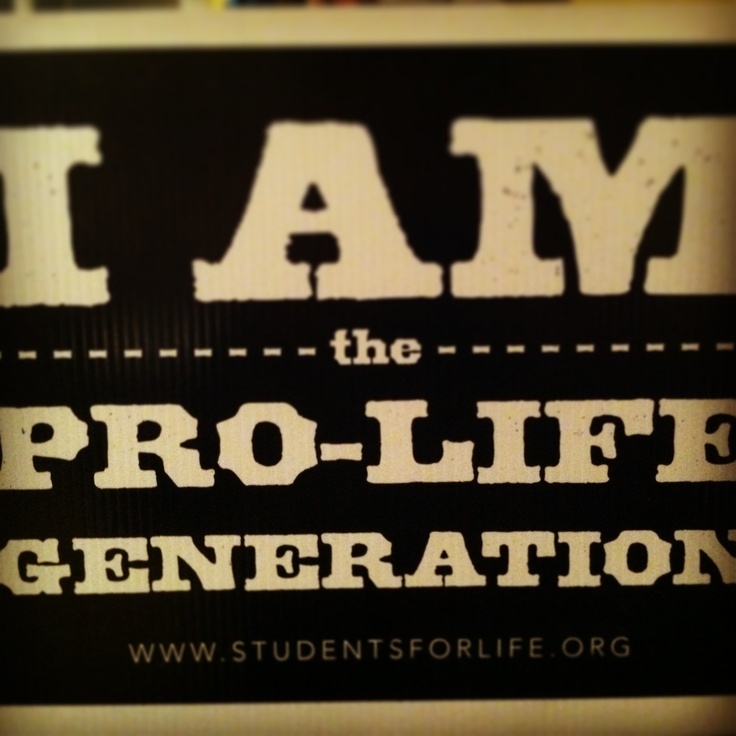 Lest my Leftist readers feel left out…do not be afraid– you are not forgotten! Captain John Smith, who was a founder of Jamestown, was forced to push would-be adventurers to work. They came to America hoping they would get to search for gold without working and helping to contribute to building up the settlement (Democratic Party, anyone?)! If Smith had not required the men to live by the Bible-based motto he set, the entire settlement would have perished. 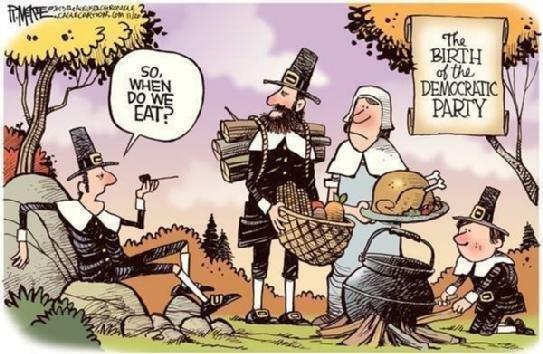 Birth of the Democratic Party.